Are Kobo finally taking on Amazon at their own game? Much has been said about Amazon and how their Kindle Direct Publishing (KDP) platform has allowed so many more authors to publish their works with ease, and the positives and negatives that have ensued. I myself, having used KDP to publish Pegasus Falling, have been very happy with the results. I didn’t use KDP select at the time of launch because I didn’t want to restrict sales to just Amazon (although I’m not ruling it out for the launch of part 2 of the trilogy). My philosophy has always been to get William’s books in front of as wide an audience as possible, so instead I launched it on as many platforms as possible, mostly through the Smashwords premium catalogue, and also via Kobo. I set up an account with Kobo books to distribute the ebook to them directly (you can also go via Smashwords). At the time, the sign up process wasn’t exactly arduous, but it was much more long-winded than Amazon and KDP. Instead of a few web pages in which to add all the metadata and upload the files, there were application forms, spreadsheets and FTP servers to contend with. Like I said, not arduous, but it all felt a bit steam-powered compared with Amazon’s whiz-bang offering. Nevertheless, I got through the process and Pegasus Falling is now available to buy on kobobooks.com, as well as whsmith.co.uk. But I couldn’t help but think that the journey could have been made a bit easier, and I’m not surprised that so many writers just use KDP and don’t bother with other platforms. It’s just so ridiculously easy! And that’s a shame, because I’m all for choice – not everyone has a Kindle, so why should I just release the books for one platform? Sales are much lower than on Amazon, but they’re sales none the less. 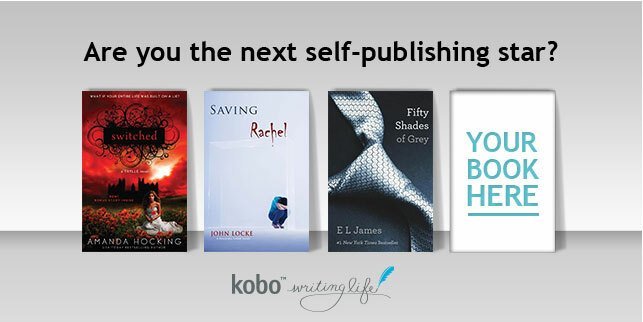 This is why I was very excited to receive an email from Kobo yesterday announcing the imminent launch of their new Kobo Writing Life publishing platform. Currently in Beta testing, it’s due for release at the end of June and I’ll be very interested to try it out when the time comes. 1. An easy to use self-service portal which will provide writers with, “a variety of marketing and sales tools and help connect them to readers”. If it’s as easy to use as KDP, then hurrah! The extra bits on the side will only be a bonus. 2. Use of the open-platform epub standard. This is already the case with Kobo, but I welcome the commitment to keep things open and allow the use of books on multiple devices. 3. Automatic conversion from Word, Text or Mobi files. Although personally I prefer to do the conversions myself (you have a lot more control over the finished product), this will be a welcome benefit for a lot of authors who are not so tech-savvy. 4. Sales tracking dashboard. At the moment, Kobo provides authors with an Excel spreadsheet every month, which can be a bit of a handful to navigate. This sounds a lot more user-friendly, and possibly more in depth than Amazon’s offering, although theirs isn’t exactly bad. 5. Non-binding agreement. Now this sounds like the most refreshing aspect of Kobo’s proposal – you can publish your book at Kobo, then sell it anywhere you like without any ties, even taking the epub file with you! 6. Free pricing option. Authors will be allowed to set their own price, with no restrictions, and can even price their work for free. This all sounds extremely promising and I can see the bods at Amazon may have some head scratching to do. The truth is, though, that Kobo are still a very small fish compared to the great white shark that is Amazon, and they have a lot of catching up to do to keep up with their competitors, but I wish them all the luck with it. I really do hope that Writing Life is a success. After all, choice is good, and some serious competition in the market may just make the self-publishing world that little bit more interesting.